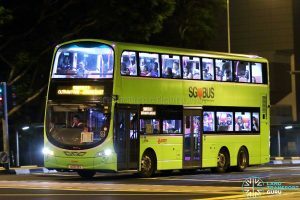 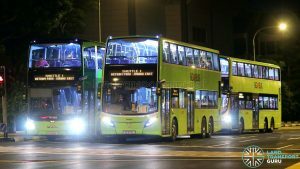 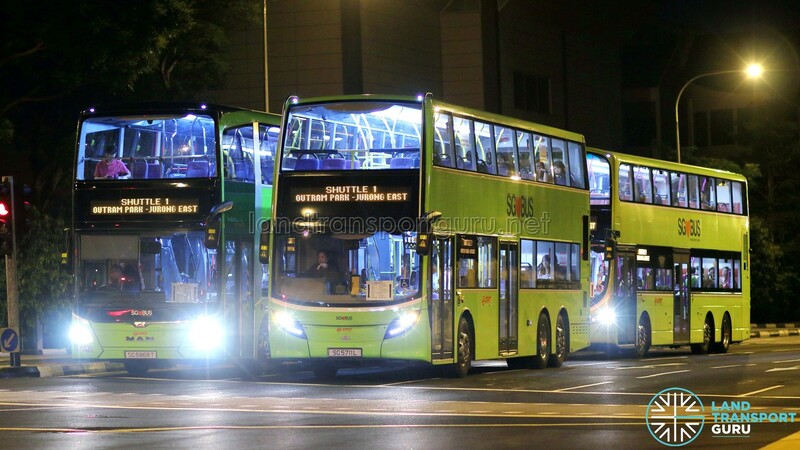 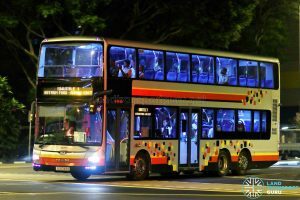 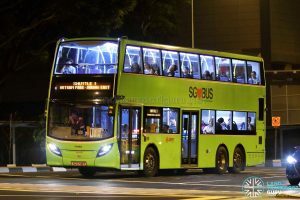 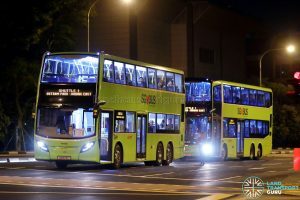 Shuttle 1, also referred to as the Jurong East—Outram Park Shuttle Bus Service is a Rail Replacement Service plying between Jurong East and Outram Park, serving en-route East West Line (EWL) stations. 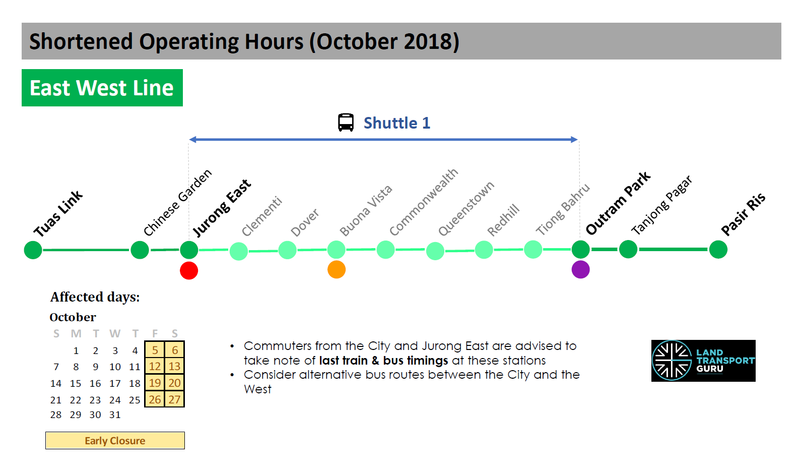 The route will be activated to operate on Fridays & Saturdays in October 2018, when shortened operating hours are implemented on the East West Line to facilitate more time to renew and upgrade the EWL power supply system safely. 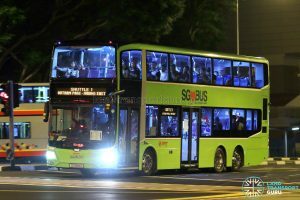 The Shuttle Bus Service will only operate on days of Early Closure of the EWL in October 2018, namely 5, 6, 12, 13, 19, 20, 26 & 27 October 2018. 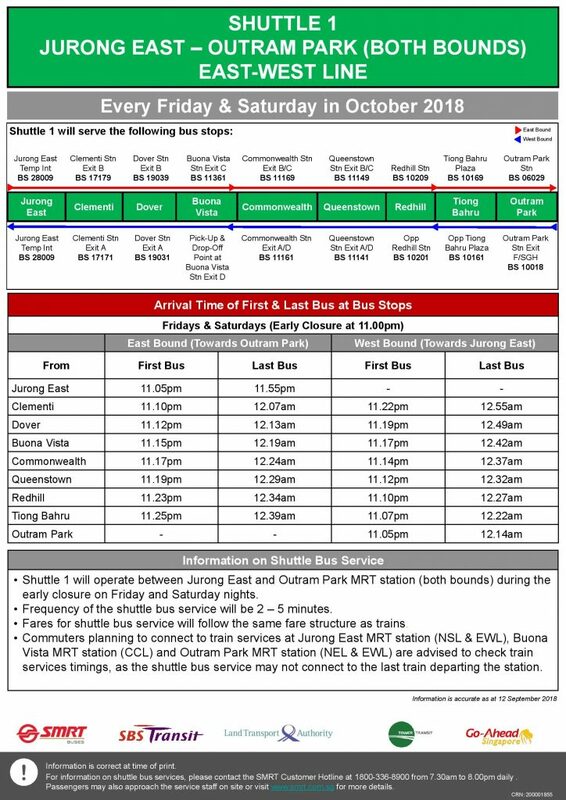 2017 (08 Dec): Launched as a Shuttle Bus Service between Outram Park and Jurong East, operating during periods of MRT closure in Dec 2017. 2018 (26 Sep): Announced as a Shuttle Bus Service between Jurong East and Outram Park, operating during periods of MRT Early Closure in October 2018.